You better look up from your phone, if you're playing Pokemon Go in Basel, Switzerland. 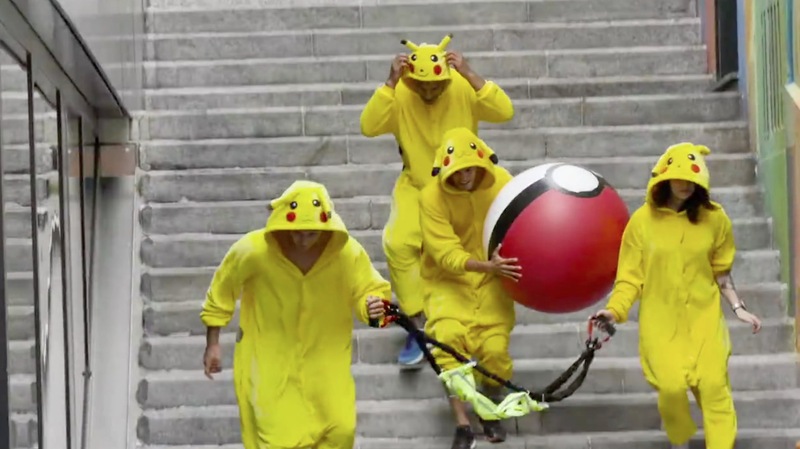 Four people are dressed as Pikachu and following around gamers. It's an act of revenge. They are saying Pokemon are fed up with getting things thrown at them all day. From their van and on foot, these human-sized Pikachus are throwing out Pokeballs in an attempt to hit people using the app. From adults to kids, no one is safe from this game of revenge, but we are loving it.